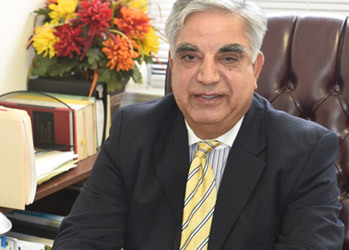 Saud A. H. Khokhar provides legal researching, writings and preparing pleadings, petitions, applications, motions, briefs, appeals and discovery services for attorneys and law firms for presentation in City Courts, Supreme Courts, Appellate Courts, Federal Courts, Bankruptcy Courts, U.S. Circuit Court of Appeals, and Federal and State Administrative Agencies, involving matters related to real estate; foreclosure of mortgages and mechanic’s liens; contested matrimonial; chapter 7, Chapter 13, and Chapter 11 bankruptcies including adversary proceedings; wills and estates; immigration and naturalization; collection; landlord and tenant matters; breach of contract; breach of the implied covenant of good faith and fair dealing; unjust enrichment; violation of the Unfair Competition Law; declaratory relief under state and federal law; racketeering in violation of 18 U.S.C. § 1962; civil conspiracy; joint venture/joint enterprise; antitrust in violation of New York State Law; and securities violations. Saud is graduate of the Pace University, New York City, and was named to the Pi Gamma Mu – International Honor Society in Social Sciences. Saud also earned a Certificate in Internet Technology Programming from Baruch College. Saud is also a graduate of REALTOR® Institute, and Scott. Shield Commercial Real Estate Academy. Saud is a licensed real estate broker (New York), Licensed Mortgage Broker – NYS Department of Financial Services – Third-Party Loan Provider (NMLS#140381), Licensed Insurance Broker and Life and Health Agent and Notary Public. Saud is a REALTOR® and certified by the National Association of Realtor as an e-PRO® (Electronic Marketing Specialist), BPOR (Broker Price Opinion Resources Specialist), CIPS® (Certified International Property Specialist), GRI (Graduate REALTOR Institute), RSPS (Resort and Second Home Property Specialist, SFR® (Short Sale and Foreclosure Resources Specialist, SRES® (Senior Real Estate Specialist). Saud has over 35 years of experience in legal researching, writing and preparing pleadings, petitions, applications, motions, appeals, briefs, and discovery for presentation in Civil Courts, Family Courts, Supreme Courts, Appellate Courts, Court of Appeals of the State of New York, United States Citizenship and Homeland Security (Immigration and Naturalization Service), Administrative Agencies, and Federal Courts including Federal Bankruptcy Courts involving complex litigation involving matters related to real estate; contempt of court; foreclosure of mortgages and mechanic’s liens; contested matrimonial; chapter 7, Chapter 13, and Chapter 11 bankruptcies including adversary proceedings; wills and estates; immigration and naturalization; collection; landlord and tenant matters; breach of contract; breach of the implied covenant of good faith and fair dealing; unjust enrichment; violation of the Unfair Competition Law; declaratory relief under state and federal law; racketeering in violation of 18 U.S.C. § 1962; civil conspiracy; joint venture/joint enterprise; antitrust in violation of New York State Law; and securities violations. Saud also has experience in Federal Litigation practice and defense of patent, copy right and trade mark infringements cases commenced by such famous names as E.T., Michael Jackson, Adidas, Gremlin, Seiko, Cabbage Patch Kids, Menudo, etc. In fact, at present Saud is a Plaintiff in a law suit his partner and he has brought pro se entitled Craig Gottlieb and Saud A.H, Khokha vs. Alphabet Inc., Google LLC, Larry Page, Sergey Brin, Eric E. Schmidt and Patrick Pichette, originally filed in 2016 in the United States District Court for the Eastern District of New York, and now pending in the U.S. District Court, Norther District of California, asserting causes of action for: (1) violation of California Civil Code § 1671(b); (2) breach of contract; (3) breach of the implied covenant of good faith and fair dealing; (4) unjust enrichment; (5) violation of the Unfair Competition Law, California Business and Professions Code § 17200 et seq. ; (6) declaratory relief under state and federal law; (7) racketeering in violation of 18 U.S.C. § 1962; (8) civil conspiracy; (9) joint venture/joint enterprise; (10) antitrust in violation of New York state law; and (11) various securities violations, seeking multimillion dollars compensatory damages. Hilf v. Gebelman, 286 A.D.2d 693, 730 N.Y.S.2d 157, 2001 NY Slip Op. 07088, N.Y.A.D. 2 Dept. involving denying a foreclosure action reinstating to the active status since the Court already determined, the action was withdrawn (see Arbisser v Gelbelman, 286 AD2d 693, 694 ). Therefore, it may not be restored to “active status” and the motion for that relief was properly denied. Craig Gottlieb and Saud A.H, Khokhar vs. Alphabet Inc., Google LLC, Larry Page, Sergey Brin, Eric E. Schmidt and Patrick Pichette, U.S. District Court, Norther District of California, involving 28 U.S.C. § 1331 Cause: 28 U.S.C. § 1331, for: (1) violation of California Civil Code § 1671(b); (2) breach of contract; (3) breach of the implied covenant of good faith and fair dealing; (4) unjust enrichment; (5) violation of the Unfair Competition Law, California Business and Professions Code § 17200 et seq. ; (6) declaratory relief under state and federal law; (7) racketeering in violation of 18 U.S.C. § 1962; (8) civil conspiracy; (9) joint venture/joint enterprise; (10) antitrust in violation of New York state law; and (11) various securities violations, seeking multimillion dollars compensatory damages. Awarded: 1996 Saud is also a licensed real estate broker (New York), Registered Mortgage Broker – NYS Banking Department – Third-Party Loan Provider NMLS ID#140381) Mortgage Loan Officer ID #148213), Licensed Insurance Broker and Life and Health Agent (New York and New Jersey), Licensed Process Server, and Notary Public. Saud is a REALTOR® and certified by the National Association of Realtor as: BPOR® (Broker Price Opinion Resources Specialist), CIPS® (Certified International Property Specialist, an e-PRO® (Electronic Marketing Specialist), SFR® (Short Sale and Foreclosure Resources Specialist, SRES® (Senior Real Estate Specialist). International Business and Financial Consultant, Senior Paralegal, Licensed Real Estate Broker, Licensed Mortgage Broker – New York State Department of Financial Services – Third Party Loan Providers (NMLS # 140381) (Mortgage Loan Officer NMLS #148213), Licensed Insurance Broker & Life and Health Agent (New York & New Jersey).